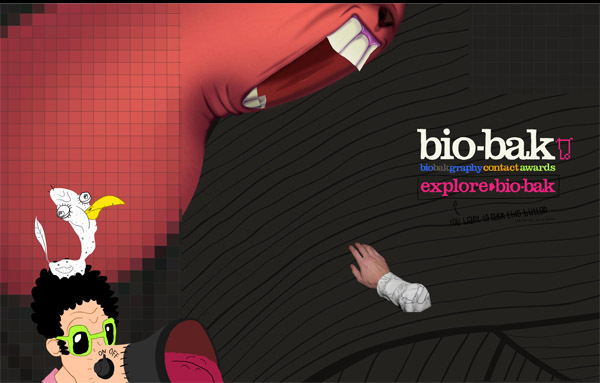 Website very original and funny Bio-Bak, Dutch designer. It’s a collage of images of large size that you can browse through the drag and drop pointer that is a real hand. Use this to rummage and find the sections on the site. Sito molto originale e divertente di Bio-Bak, designer olandese. Un collage di immagini di grande formato che si possono navigare tramite il drag and drop del puntatore che è una vera e propria mano. Usatela per rovistare e trovare le sezioni sul sito. I simply want to say I am new to weblog and seriously loved you’re web-site. Very likely I’m want to bookmark your blog post . You amazingly come with perfect stories. Kudos for sharing your web site. Exactly laqr,I think I? ?m smarter than Obama too. and to prove it, I? ?ll put my college GPA and transcripts up against his any day. I am very new to website design as I have no prior experience and understand little HTML. I just need to know what the best software program is to buy to design blogs. I have downloaded CS5 Style Costs with Dreamweaver and Photoshop, however I recognize this is a little sophisticated for me and expensive!!!. Does any individual have suggestions of software or means to build blogs and also web sites conveniently and cost-effective?. THANKS!. Am i lawfully in charge of web content on my blog sites & discussion forums that others have created?